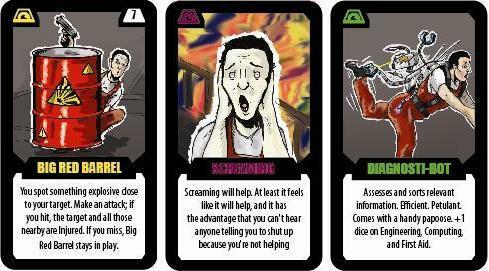 Paranoia RPG -- "Paranoia is a roleplaying game set in a darkly humorous future. In Paranoia, a well-meaning but deranged computer desperately protects the citizens of an underground warren from all sorts of real and imagined enemies. You play one of The Computer's elite agents. Your job is to search out and destroy the enemies of The Computer. Your worst fear is that The Computer will discover that you are one of these enemies." Succeeding at £33,356 with 39 days to go. I've been looking to get into Paranoia for a very long time, but had been unable to find anything with a reasonable price tag on it. Edited by 600lbpanther, 29 October 2014 - 07:17 AM. Night Witches by Bully Pulpet Games. "Night Witches is a tabletop RPG about Soviet airwomen during World War Two, flying daring night time bombing missions in biplanes." Succeeding with $37K. The Underground: A Sam & Fuzzy RPG by Damocles Thread Development. "The Underground: A Sam & Fuzzy Role-Playing Game is a tabletop RPG created by Damocles Thread Development and cartoonist Sam Logan, using mechanics built from the ground up and tailored to the unique universe of the Sam & Fuzzy comic book." Currently at $14,483 with 28 days to go. 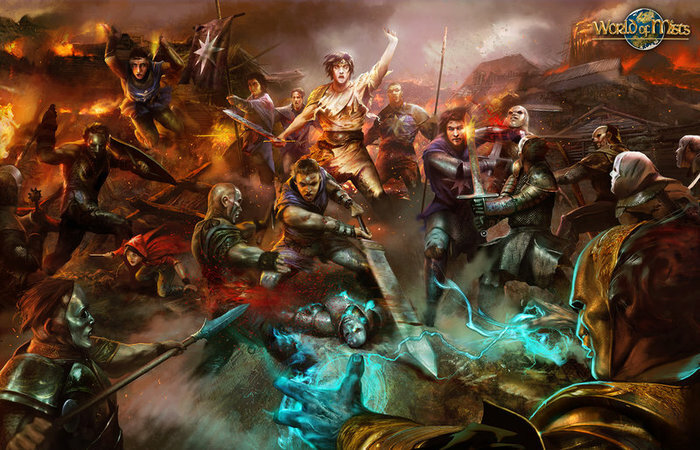 Vow of Honor RPG by Sigil Stone Publishing. "Vow of Honor is a tabletop roleplaying game focusing on the Arbiters of Fasann: icons of justice sworn to the Tenets of Honor. It's a game designed specifically for one reason: to play skilled warrior judges sworn to a strict honor code in a world full of dishonor. The system and the setting are unique and designed to fully support one another, and playing as an Arbiter is often a resonating experience. You get to be a hero (fallen or not), and the game supports and encourages that." Presently at $1,866 with 23 days to go. Edited by rjshae, 14 November 2014 - 03:12 PM. I love Sam and Fuzzy, but...something that's been bothering me is that there seems to be zero explanation of the actual game mechanics. Am I just missing it on the Kickstarter page? Pretty sure I've read through the entire page a few times to see if I've missed something, and there's nothing there. Edited by Bartimaeus, 21 November 2014 - 09:59 AM. Shadows of Esteren - A Medieval Horror RPG: Occultism by Jim Searcy -- "A medieval role-playing game somewhere between Ravenloft, Game of Thrones and Call of Cthulhu"; Succeeding at $30,225 with 34 days to go. Silent Legions: A Sandbox Horror RPG by Kevin Crawford -- "A Lovecraftian horror RPG from the creator of Stars Without Number designed for sandbox play and home-brewed Mythos creation"; Succeeding at $18,276 with 4 hours to go. 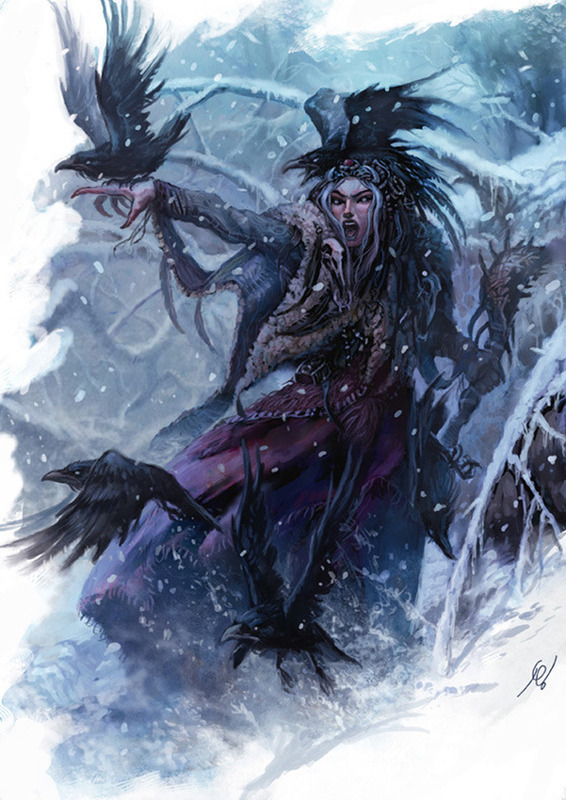 World of Mists: New RPG Setting for Pathfinder by WoM V Studio LTD -- "World of Mists is a setting book project for a tabletop role-play game, 100% compatible with Pathfinder"; 2% funded at £830 with 15 days to go. Not sure why this is not doing well. Not sure if this fits here as it's a board game, but anyway, here goes. Conan board game by Monolith Board Games. 70 hours left as of this writing. This one is already INSANELY successful having asked for $80,000 and it's gotten over 2 million. 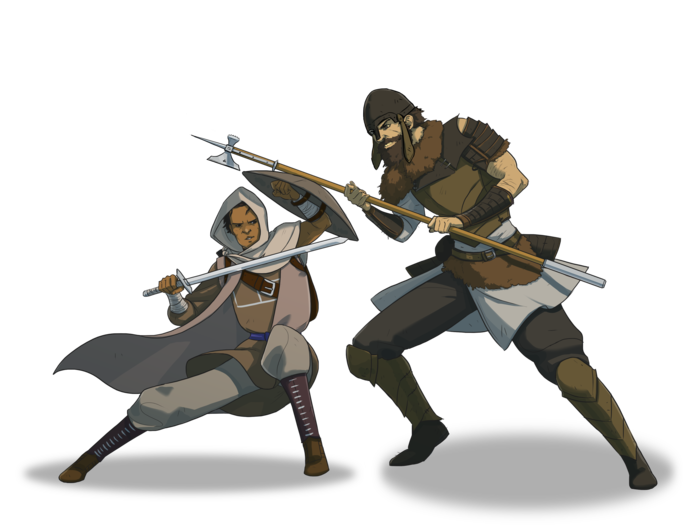 A ridiculous amount of stretch goals has been unlocked and each means more miniatures and character sheets free for everyone. I don't know how they're going to fit all of this into one box. I've been following this for a while and pledged to it yesterday for the King Box. I'm a huge fan of the Conan setting and how fraught with debauchery, lust, and selfishness it is. I also love asymmetrical games (this one is 1 vs 1 to 4). Keep in mind that you'll likely be looking at an additional $35 or $45 (if you live in the States or Europe) or more for shipping in addition to the cost. Still, the amount of stuff that you get for the price is freakin' astounding. I have thoughts of painting all the miniatures, but that's going to take months of work. Edited by Keyrock, 08 February 2015 - 11:23 AM. Their goal is to track down out of circulation sci-fi books, clear the copyright, then scan them and make them available as an e-book. They try to do one book per month, and have restored 36 books thus far. Shadowcraft: The Glamour War -- "As a player in Shadowcraft: The Glamour War, you will be a highly trained shadow agent and engage in clandestine actions and operations against the dark court of Kormil. Able to draw from innate magic, powerful fighting abilities, and honed skills, you alone are equipped to step from the shadows to fight the darkness. Each Agent will be assigned, or be able to craft, artifacts to aid you in your missions. These items are of lesser power than the Fae relics of the past; nevertheless, they are potent boons in The Glamour War." Presently at $5,260/$12,500 with 24 days to go. Dead Scare -- "is a tabletop roleplaying game that explores an alternate United States in the early 1950s. It's Powered by the Apocalypse and combines subverted 1950s American idealism with a blood-spattered zombie apocalypse." Presently at $3,692/$10,000 with 19 days to go. FAITH: The Sci-Fi RPG -- "A thousand years from now humanity drove itself to the point of almost extintion and was enslaved by the Corvo. Then they came across the Iz'kal, Now the two species fight a cold war for the control of the Labyrinth, while humanity struggles for survival." Presently at £11,232/£30,000 with 20 days to go. It sounds like the right approach; using KS, to fund new art, and revising and expanding the existing content into a bigger, better version of the old. Judging from the beta of the new remastered version (available to anyone who backs the Kickstarter) Newt Newton is on the right track (He's also the author of the excellent OpenQuest rules). A campaign world for any fantasy genre game system. is now up on Kickstarter. Video Game creator Swery is behind the project, from a new group of board game designers. Lancer RPG from the creator of Kill Six Billion Demons has a KS running though it also has a free version anyone can download.